The Capitola Art & Wine Festival combines Art, Wine, Music and Food, all in charming Capitola Village overlooking the beautiful Monterey Bay. Over 150 fine artists and 23 Santa Cruz Mountains wineries will participate in this year’s Festival. A Children’s Art Area with ongoing craft projects is conveniently located in the center of the Festival on Lawn Way. Enjoy great entertainment all weekend including local dance and performing arts groups, street performers and live music. 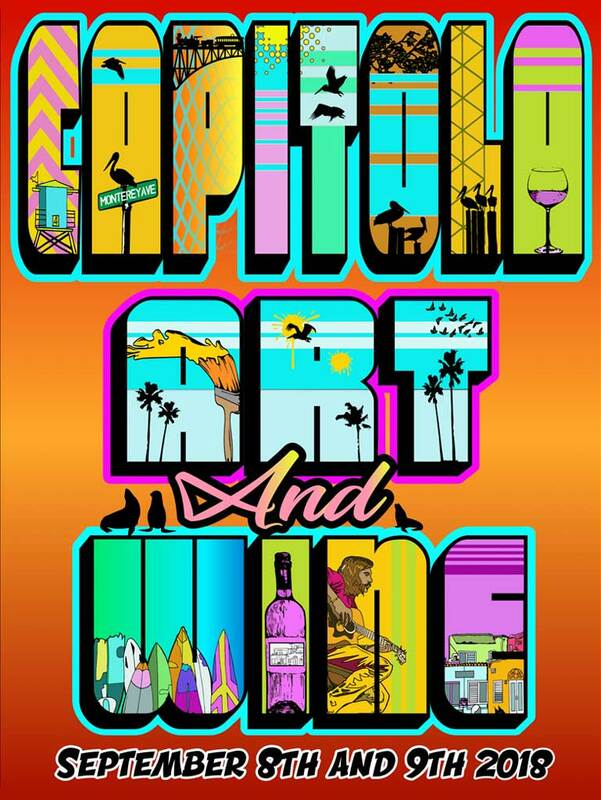 The Capitola Art & Wine Festival is a juried show of high quality original art open to all artists and mediums. Exhibited work must be the original creation of the applicant. *Wine tasting requires a purchase of 2019 Festival Glass and Tasting Tokens. 2018 Glass: $12. Tokens: $1 each. Wine tasting: 2 – 4 tokens per tasting. Pet lodging and daycare services available. Because of the large volume of human traffic at the Capitola Art & Wine Festival, we ask that you not bring your pets with you. 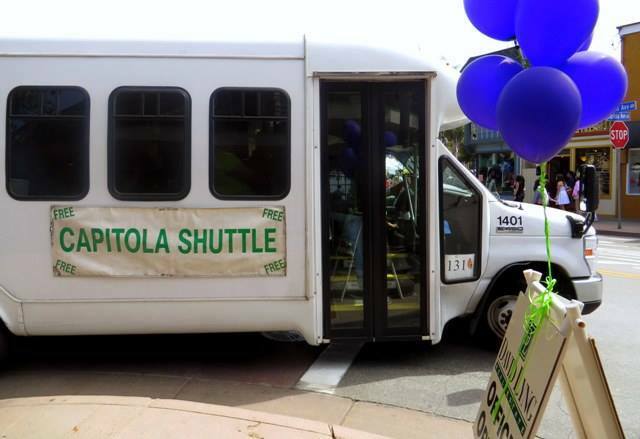 Ride the free shuttle from the Capitola Mall (handicap accessible). Take Highway 1 to the 41st Avenue exit, head south on 41st Avenue to the Capitola Mall. Park next to Bank of America and shuttle to the Festival. 41st Avenue shuttle drops off right at the entrance to the Festival at Stockton Avenue and Esplanade. Shuttles run approximately every 20 minutes. Saturday, September 9: 9:30 AM to 8:00 PM and Sunday, September 10: 9:30 AM to 7 PM. Memorial weekend through mid-September, the City of Capitola offers a free beach shuttle from the Beach and Village Parking Lots located behind City Hall at 420 Capitola Avenue. Parking Lots can be accessed from Capitola Avenue, Bay Avenue and Monterey Avenue. Free shuttle operates 10 AM – 8 PM and drops off in Capitola Village. Parking costs $0.50 an hour with no time limit. The pay stations accept cash, debit cards and credit cards. Meters run from 8 AM to 8 PM. 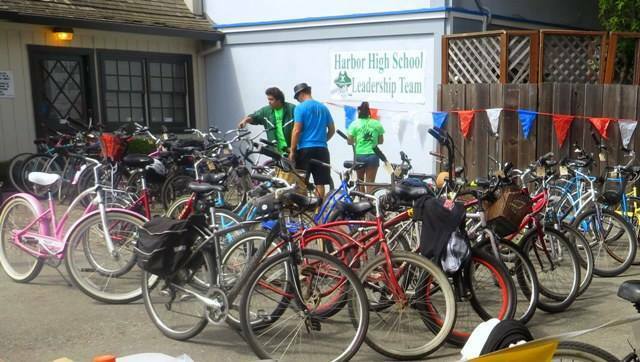 FREE Bike Valet Parking hosted by volunteers from Harbor High Leadership! 2. Monterey Avenue Festival entrance. Because of the large volume of human traffic at the Capitola Art &Wine Festival, we ask that you not bring your pets with you.